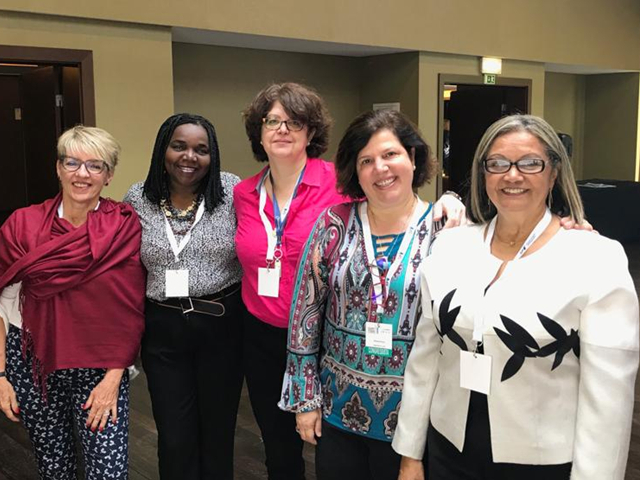 From October 11th to 14th, 2018, the Unit of Liver Transplantation and Kidney Transplantation team of Clinical Hospital (HC) of School of Medical Sciences (SMS) of University of Campinas (Unicamp) were represented by Prof. Dr. Ilka F. S. F. Boin, Prof. Dr. Raquel S. B. Stucchi, Prof. Marilda Mazzali, Dr. Eliana Pires Oliveira Dias and Marli Elisa Nascimento Fernandes, showing the intellectual productivity on transplantation in the XVII Luso-Brasileiro Transplant Congress in Coimbra, Portugal. There were several participations: 4 lectures, 4 oral presentations, 8 e-posters and 4 brief communications showing what we really do in the world of transplantation. On October, 2019 the XVIII Luso-Brasileiro Transplant Congress will be held in Campinas, having Prof. Marilda Mazzali as President and Prof. Ilka Boin as Scientific Program President.